Since ancient times mankind has added colours to foods to enhance their appeal. Gone are the days when poisonous materials such as lead oxide were used as colours & the modern colouring palette is tightly controlled and becoming more so as potential health issues are uncovered by research. This report covers the basic categories of food colourings available, the pros & cons of using them, methods of shelf life extension & the legislative challenges which can arise. Today, colours fall into a number of categories. 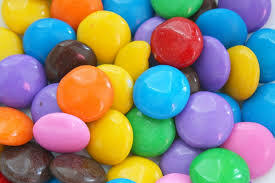 These dyes are manufactured & were the principal source of food colouring up until the 1990s.They are versatile, generally stable & offer strong colours in many shades, but their use is becoming less frequent as consumers are concerned by the highly publicised research indicating associated health concerns. The Southampton 6 report cited evidence that six of these colouring dyes in association with sodium benzoate, commonly found in soft drinks, caused hyperactivity in children. Their use is restricted & warnings are placed on packaging warning about the effect on children. Whilst many consumers & supermarkets reject the use of these colours, there are consumers, such as sugarcrafters, who prefer the strong vibrant colours which are a feature of their artistic designs. These have been developed as substitutes for synthetics. They are extracted from natural sources & are generally thought to be safer sources of colour by consumers. They generally have less vibrancy, are mostly less stable over life, are not as strong & many are quite expensive in use. Some have a strong flavour. An example of this is the red/pink anthocyanin extracted from a black carrot source. Anthocyanin colours will only develop the desired shade of pink or red in acid conditions which may not be aesthetically suitable for some foods. The majority of these colours are suitable for vegetarians with the exception of carmine or cochineal which is of insect origin. Natural colours all have an approved E number just like their synthetic equivalents. There is another group which are available. These are mineral based & include insoluble iron oxides which can be obtained in a range of colours with red, yellow, orange & black hues. Titanium dioxide is an insoluble white pigment. • The use of antioxidants such as rosemary extract has been shown to be effective with some natural colours. • Packing under gas flushing or vacuum. • Packing in films or other packaging with low oxygen transmission characteristics. • Controlling the light transmission through packaging film or other types. Even relatively clear packaging film types are available to limit the impact of light. Eg Alox. • Ensuring that ingredients such as glucose syrup are low in sulphur dioxide which impacts on some colours. • Encapsulation has been shown to be effective with some colours eg curcumin. • In some colours, minimising heat exposure. • In ice cream & chilled desserts where colours tend to be pale, the low temperature tends to limit changes & naturals work well. • Extracting colours from species where the molecular configuration is more stable. In all cases, the substrate food can impact on stability. Colour legislation can be a minefield as some colours are limited to certain types of food & there are limits on levels especially with synthetics within the EU. Internationally, the picture becomes more complex. For instance, in the USA, the synthetic permitted colour list requires the use of FD&C certificated colours & some EU colours are not permitted. However there are generally no limits on the level used. The US market tends to be more accepting of synthetics but there are signs that this is evolving towards UK consumer attitudes. Exporters need to seek advice before proceeding . Sweet Innovation has extensive experience in this field.